Australian science enabled by microscopy and documented with images and video. We invite you to share our stories. Access can be specifically tailored to your business needs. Learn more with our case studies in grant-aided R&D partnerships, contract R&D, testing services and industry access. 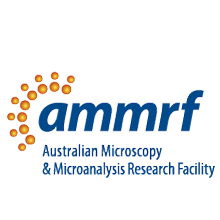 Major microscopy facilities (Nodes) and Linked Laboratories unite to form the AMMRF. Our collaboration uses specialised resources efficiently to enable better research outcomes. We invite you to share our news stories with a link to the source page. Our news stories can be used as media releases. Image copyright remains with the institutions of origin. All rights reserved. A library of AMMRF images is available for commercial use through Science Photo Library. This website and its content is copyright. To the extent that the AMMRF has copyright in material included on this site, you may link to these pages, download, display, print and reproduce this material in unaltered form only (retaining this notice) for your personal, non-commercial use or use within your organisation. Apart from any use as permitted under the Copyright Act 1968, all other rights are reserved. Requests for further authorisation (eg: image use) should be directed to: Dr Jenny Whiting. The AMMRF is not responsible for the content of external sites or the views expressed therein. ammrf.org.au site design, content development and multimedia editing 2012 by Deirdre Molloy. Web development 2012 by Thinkun, in collaboration with Deirdre Molloy. 2017 site design update by Deirdre Molloy. Web development 2017 by Plot, in collaboration with Deirdre Molloy. News editing, news stories and Tweets 2012 to date by Jenny Whiting.